October starts tomorrow (where did the time go? 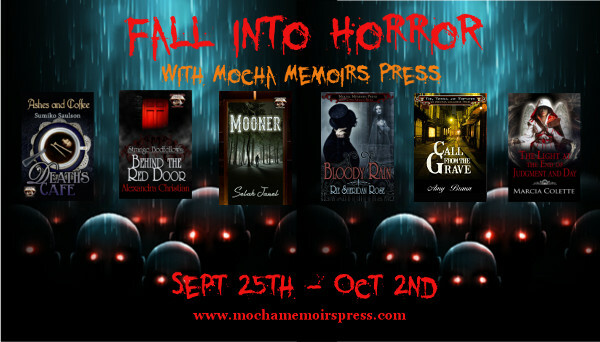 ), yet the Mocha Memoirs Press's Fall Into Horror promotion is still going strong! 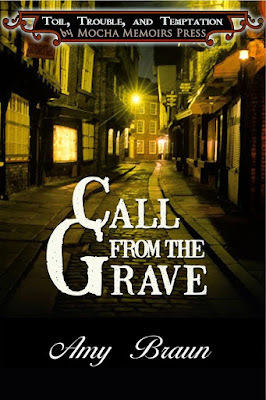 You have plenty of time to pick up a great new horror short story, or even more than one! Personally, I would go with more than one. Just saying. 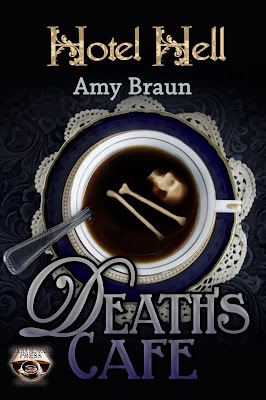 Today is something really fun– an author/character interview. I've never done one of these, but after reading John F. Allen's interview with his novella character Xenith, I might just change my mind. Enjoy! Hello, my name is John F. Allen. I'm a speculative fiction author and I'm here with Ms. Xenith LaCroix, witch-in-training and part-time adventurer. This is an impromptu interview with her before she embarks on her intense training at the hands of a master sorceress. John Hello Xenith, thanks for granting me this interview. Xenith Hello Mr. Allen. You're welcome, I'm happy to be here. John I just love your name! What can you tell me about it? Xenith Well, I'm glad you picked it out for me. As for what I can say about it, the name is unique and not just for the spelling, "Z" replaced by an "X". Xenith means, "The highest point reached in the heavens by celestial body, and/or a culminating point. " I think the "X" represents the unknown, as in the mathematical sense. John That's fascinating indeed. I think it speaks to what your life has in store for you and your tales yet to come. So, as a change of subject, fall is here and that is a time of year which happens to coincide with Halloween. Witches and Halloween go together like peanut butter and jelly, your favorite snack, so what do you personally like most about fall? John (sigh) Yeah, moving right along. What is your favorite fall color? Xenith Hmm... I think I'd have to say red. John What would you say is the biggest difference between fall weather in Chicago, versus fall weather in your native New Orleans? Xenith I would say that fall is much colder in Chicago, than it is in New Orleans. And, given the size of the city and the number of people, I mean that in more ways than one. John Are you feeling homesick? Xenith Not really. New Orleans only serves to bring back bad memories I'd just as soon forget forever. John That' right, you moved to Chicago to escape an abusive ex-boyfriend and a checkered past. You were taken in by Zaji Laveau, a powerful witch and a descendant of the voodoo priestess, Marie Laveau. Xenith Again, I'd rather not talk about New Orleans. John My bad, please don't hurt me. Xenith Relax Mr. Allen, you're safe... for now. John Uh, okay. Anyway, let's talk about your mentor instead. What's it like to be under the tutelage of such a powerful sorceress who hails from such an infamous legacy? Xenith Zaji is a taskmaster. She's strict and all about business. John So, your training isn't going so well? Xenith Actually, on the contrary. I am challenged and held accountable for my actions and inactions. This is something which I've never had in my life before. The structure she provides can be a real drag and sometimes I feel like pulling out my hair, but at the same time I wouldn't have it any other way. John That's good. Has your ability to control your powers improved significantly? Xenith I'd say so. Although I have a long, long way to go, I can now recognize the road I'm on for what it is. It won't be an easy road, for certain, but anything worth doing or having is worth the effort and struggle. John That's a very mature attitude, good for you. Well, thanks for sharing with us today. Is there anything else you'd like to add before we conclude this interview? Xenith Just that folks who are interested in learning more about me and my adventures, should check out the novelette, Witch Way Is Up, written by you and published by Mocha Memoirs Press. Oh, and HAPPY HALLOWEEN!!! John Thanks Xenith, Happy Halloween to you as well! That was pretty cool! I'm not sure Xenith is someone I would want to mess with, but I certainly like her. Can't wait to find out what tomorrow will bring! Cheers!